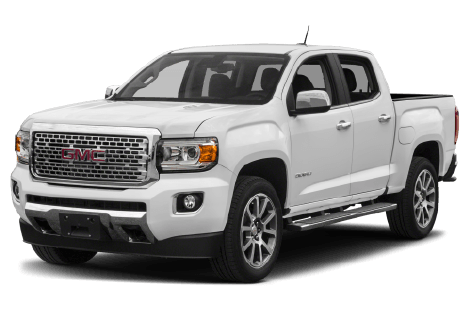 The 2018 Canyon gives you all the powerful performance and utility of a pickup truck in one maneuverable smart-sized package. 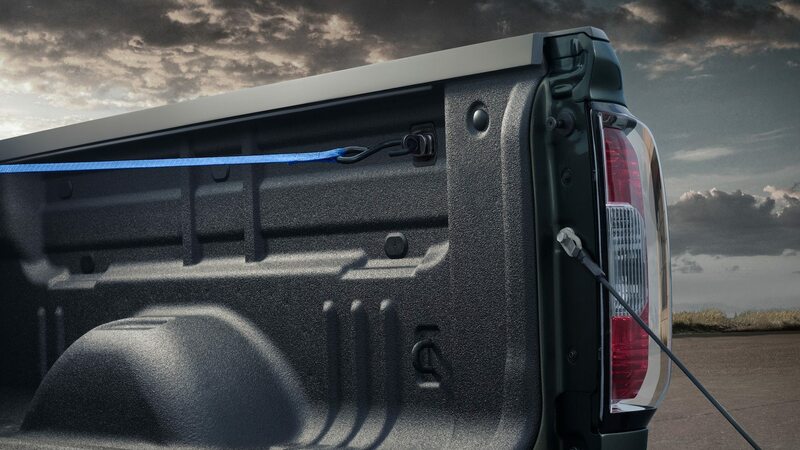 Boasting a confident mix of striking styling, durable construction and handy standard equipment the Canyon is the truck which stands out among all others. 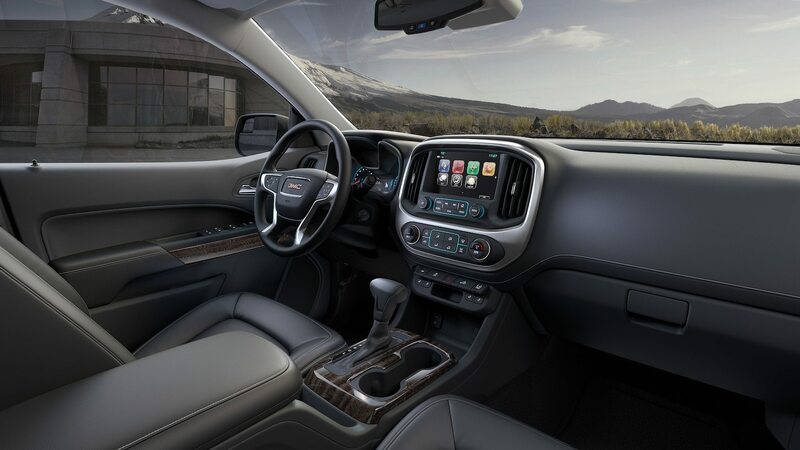 The high level of craftsmanship and attention to detail is just what you expect from all GMC vehicles. This cabin wasn’t just designed to look sharp, it was carefully engineered to provide a comfortable and quiet experience for all passengers. 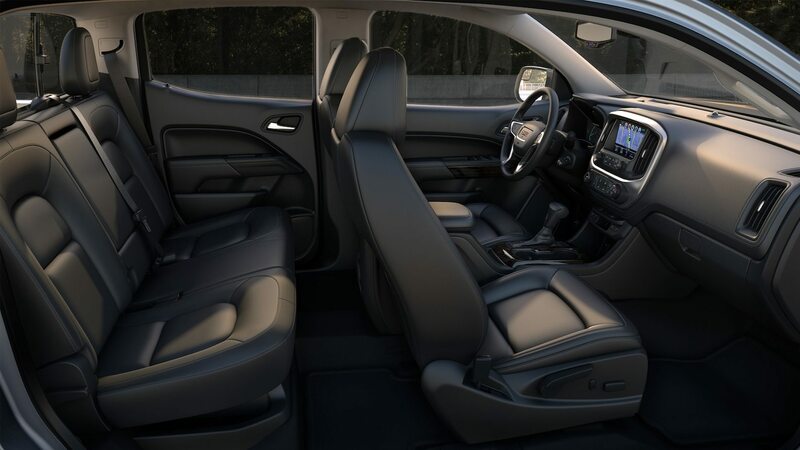 We wouldn’t consider your vehicle complete without practical touches like generous storage, USB ports and a 12V charging outlet. 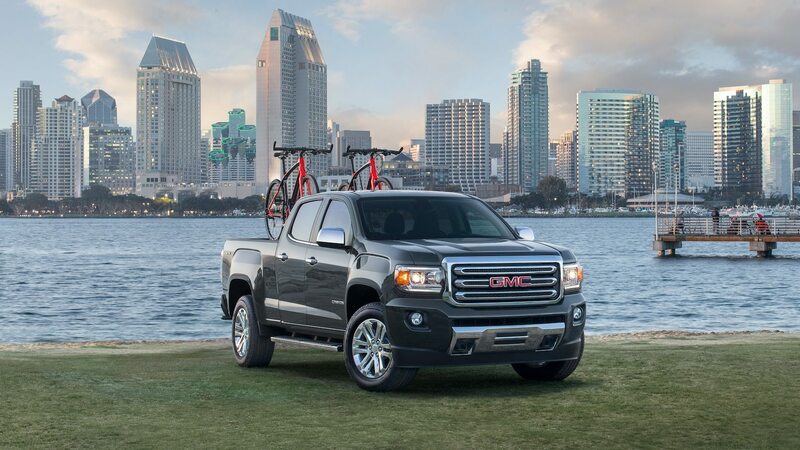 Whatever job needs doing, the 2018 Canyon has an engine lineup that meets your needs. 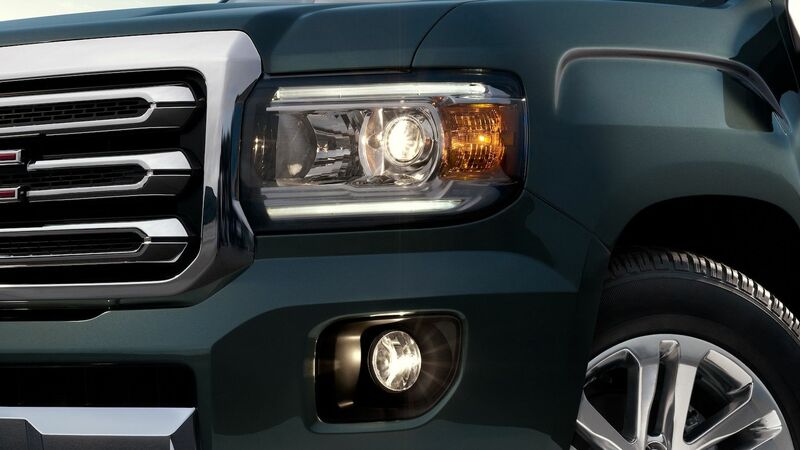 Don’t settle on efficiency or performance, there’s an engine choice that’s right for you. The available Duramax 2.8L I-4 Turbo Diesel engine has that torque and power you’ve come to expect from Diesel with exceptional efficiency. 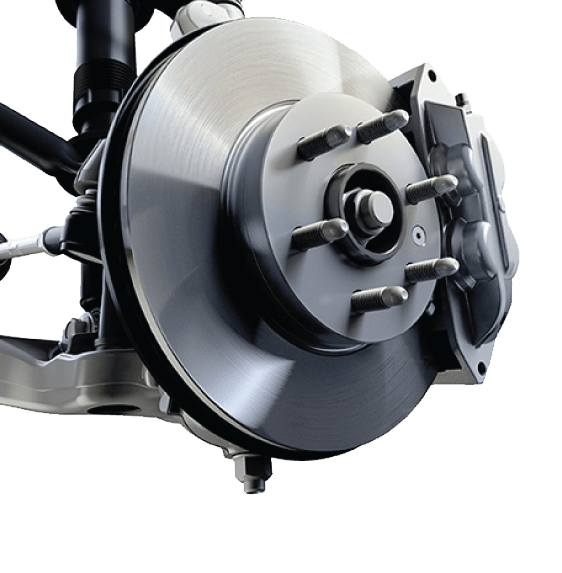 Conventional braking supplemented by segment-first exhaust brake which uses engine compression to slow the truck down. 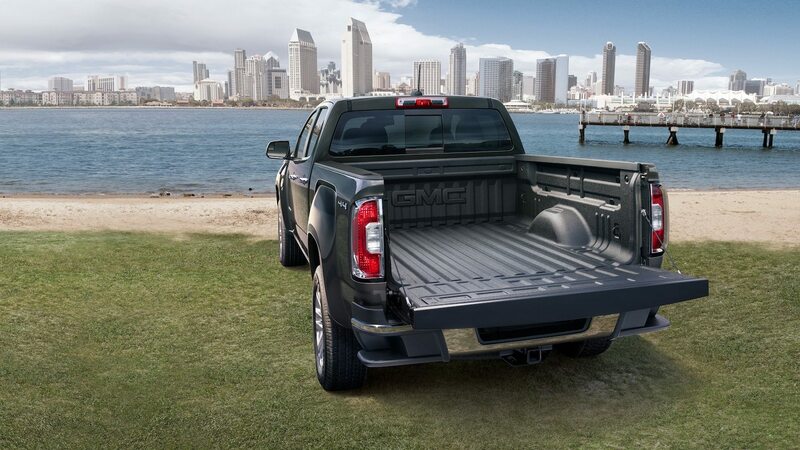 The available 3.6L V6 with Active Fuel Management® technology is the Gas engine with a kick. The most powerful 4-cylinder engine in the segment, and yet seriously efficient. 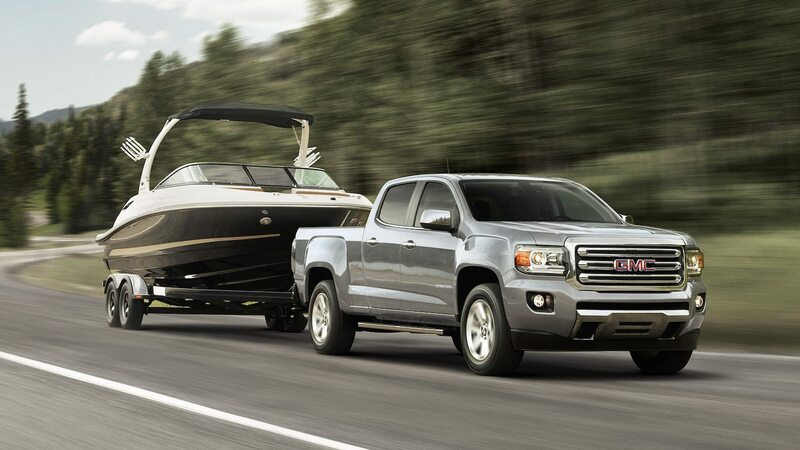 The GMC Canyon has a variety of available advanced safety and Driver Alert technologies. These proven systems were engineered with your well-being in mind. Coach your newest driver even when you can’t be there. Teen Driver is an onboard system designed to encourage good driving habits for new drivers. Activated by the driver with a pin-code, Teen Driver mode activates certain safety systems, allows parents to set limitations, and keeps track of driving behaviour to help parents guide their young drivers. When your Canyon is in reverse, see a real-time image of the area behind the truck. The rear vision camera may help you see obstacles, passing vehicles, and pedestrians before a collision happens. Everyone has a favourite method of climbing in and out of the truck bed. No matter how you go about it, it’s a big step. 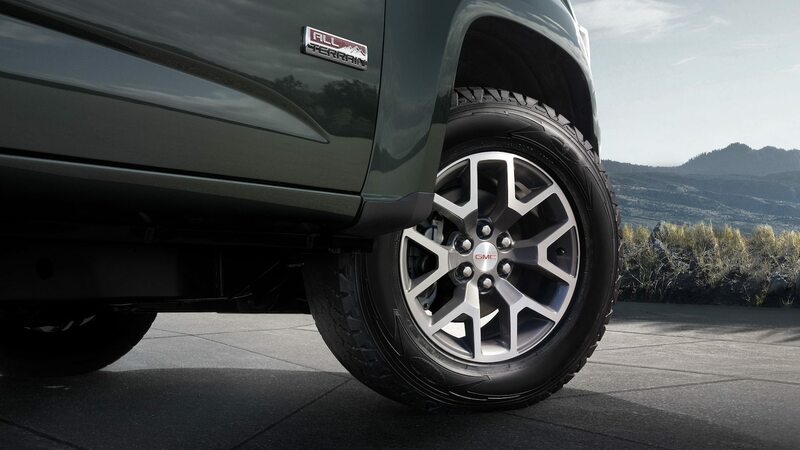 The CornerStep Rear Bumper is an actual step, unlike the top of a gritty tire or the narrow edge of a slick bumper, it was designed to help you move around with sure-footing. Available new features use cutting edge camera and sensor technologies to detect potential hazards and alert you to imminent danger. 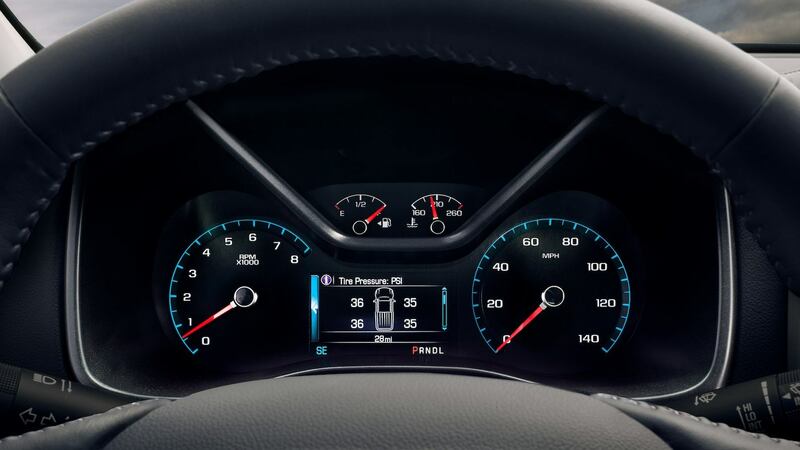 Giving you the seconds you may need to help you reduce the severity of a collision or avoid one altogether.